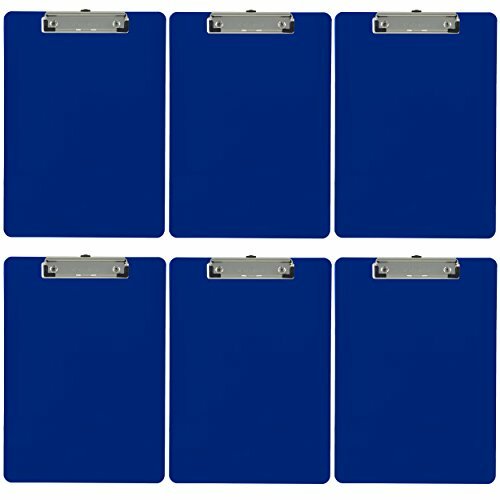 The Trade Quest letter size clipboard is made of durable, long-lasting materials that are perfect for your every day needs. Ideal for schools, offices and home. The polished metal clip is sturdy with a strong spring and comes with rubberized corners for a more secure grip. Both sides are smooth and the corners are rounded. Our boards are shipped in an efficient non-retail box and each board has a protective bag to ensure it arrives safely without blemishes. Trade Quest offers a 100% satisfaction money back guarantee.